The 20th edition of this popular meeting is being spread over two days this year, in order to give Commonwealth Games hopefuls final chances to post useful performances and impress the selectors of England and Wales. The 100m was the feature event of the first day and both men and women athletes had two chances, with winds favourable at just under the legal limit. Adam Gemili was the quickest of the men with a 10.08 meeting record in the first set of races, while Dina Asher-Smith, the European under-20 200m champion, proved the pick of the women, her best coming in the second races. 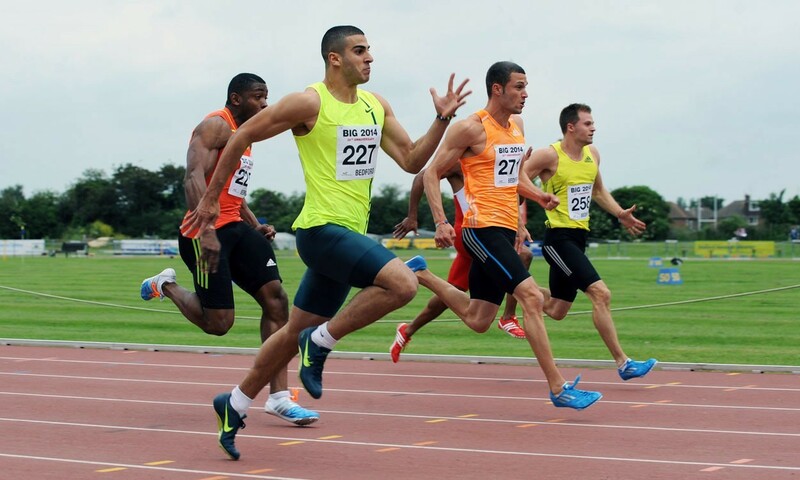 Perhaps predictably, Gemili was happy with his 10.08 clocking and passed up the second race but, after posting 11.31, 18-year-old Asher-Smith returned later in the afternoon to re-enforce her position at the top of the under-20 tree with 11.21, a meeting record. Danny Talbot ran a 10.14 personal best behind Gemili before returning to win the second 100m in 10.18. There was a world record for Maria Lyle who clocked 14.63 in the 100m Parallel Success event to better the world T35 best, while other winners on the first day of action included Sophie Hitchon and Alex Smith in the hammer, Sophie Hahn with a meeting record in the Parallel Success 100m, Adam Hague in the pole vault, Bethan Partridge in the high jump, Izzy Jeffs in the javelin, and Richard Strachan in the 400m.